Located in the southwest 4th Ring of Beijing, ABP Beijing has constructed about 400 distinctive headquarters buildings since the foundation stone was laid on June 19, 2003, and has been attracting the attention of a wide range of enterprises with its intelligent, ecological and low-density headquarters buildings. So far, more than 400 medium and large domestic and foreign enterprises have settled in ABP Beijing and over 85% of them are high-tech enterprises, with a majority of industry giants. Meanwhile, Fengtai Science Park with ABP as the core has already had about 4,000 small, medium and large enterprises, including about 110 enterprises each with an annual revenue of over 100 million yuan, 17 listed companies and more than 50 class-one and class-two enterprises certified by The State-owned Assets Supervision and Administration Commission. 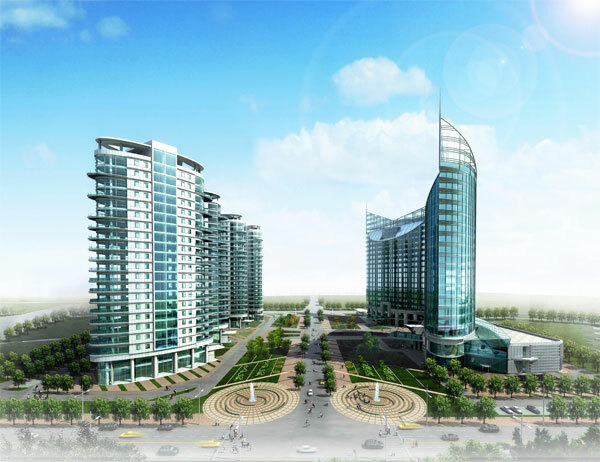 It is estimated that Fengtai Science Park will attract 500-1000 headquarters enterprises and form a scale of 5000 small, medium and large enterprises with 100,000 high-end talents by 2011, realizing a total revenue of 230 billion yuan from technology, industry and trade, and a total tax of 6.7 billion yuan. With a land area of only about 1% of that of Fengtai District, Fengtai Science Park will contribute over 30% of the fiscal revenue of the whole district. As the first headquarters economy area with ultra-large scale in China, the size of ABP endows it with inherent ability in concentration and fusion. Concentration of headquarters, talents, resources, capital and information realizes highly intensive complementarity, sharing and interaction; headquarters concentration forms a tendency towards polarization, with ABP as the core influencing industries of periphery. With a gross floor area of about 130,000 square meters, the ABP plaza includes headquarters buildings, headquarters mansions and overground and underground commercial facilities. So far, the ABP plaza has been topped off and the external decoration of the glass curtain wall is in process. The ABP plaza has an area of about 40,000 square meters for commercial facilities, including an over 20,000 square meters overground operation area in front of six headquarters buildings, a 2-story underground area offering about 205 standard parking spaces, as well as excellent commercial facilities area of more than 1000 square meters. The gross floor area of the headquarters buildings is approximately 65,000 square meters and the total building height is 99 meters, which makes it one of the highest buildings and also a landmark in the south of Beijing. The gross floor area of four headquarters mansions is approximately 64,000 square meters and the total building height is 99 meters. The four 21-storey mansions have 68 independent residence units in total, one unit per story with an average unit floorage of about 600 square meters. The units on the 16th to 21st floor are duplexes, each with a floor area of more than 1100 square meters. All the headquarters buildings adopt the 8.0mx8.0m standard concrete structure. They are flexibly connected and well arranged in groups so that all buildings are independent and also able to be grouped or split into different sizes for various purposes. ABP Apartments is located in Buildings 20, 21 and 22, Area 1, ABP, No.188, Western Road, South Fourth Ring of Beijing. Integrated with accommodation and catering services, it provides high-end comprehensive apartment facilities for employees and guests of the settled-in enterprises in ABP and is an ideal place southwest of Beijing, suitable for a rest during business travel. Located in Building 17, Area 7 of ABP Beijing, ABP Staff Quarters is one of the supporting facilities that provide accommodation for employees from each enterprise within ABP. This 8-storey dormitory building has 45 dorm units, available for more than 400 persons. It will offer preferential rates for long-term customers. All buyers of ABP Beijing are entitled to name the purchased buildings automatically to display their images.